In this quickstart, you'll first take the role of an Intune user and enroll your Windows 10 device into Microsoft Intune. Then, you'll return to Intune and confirm the device enrolled. Enrolling your devices into Microsoft Intune allows your Windows 10 devices to get access to your organization’s secure data, including email, files, and other resources. This is true for both Windows 10 desktop and Windows 10 Mobile devices. Enrolling your devices helps secure this access for both you and your organization, and helps keep your work data separate from your personal data. Find out what happens when you enroll your device in Intune and what that means for the information on your device. To complete this quickstart, you must complete the steps to setup automatic enrollment in Intune. Before enrolling your Windows 10 Desktop, you must confirm the version of Windows that you have installed. 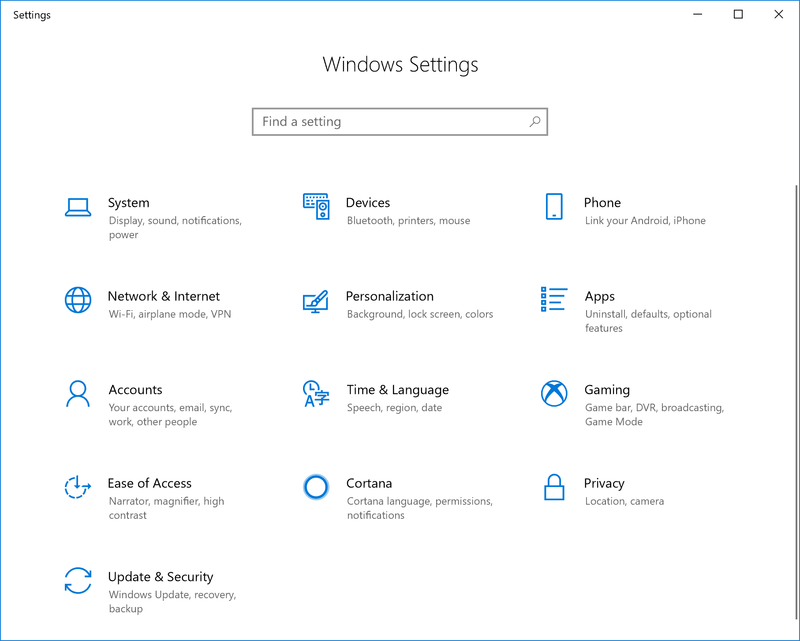 Right-click the Windows Start icon and select Settings to display Windows Settings options. You can also type the phrase "About your PC" into the search bar, then select About your PC. 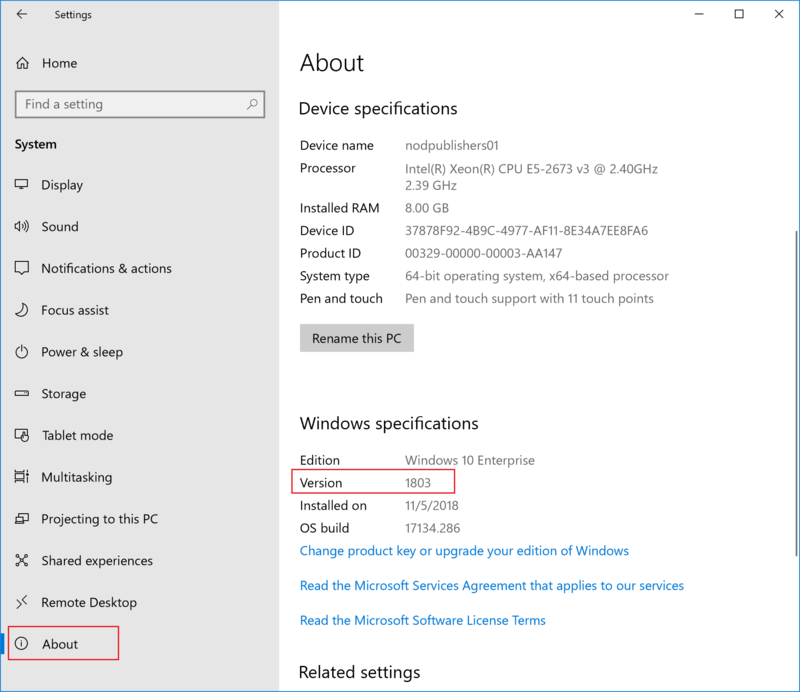 In the Settings window you will see a list of Windows specifications for your PC. Within this list, locate the Version. Confirm that the Windows 10 Version is 1607 or higher. The steps presented in this quickstart are for Windows 10 version 1607 or higher, if your version is 1511 or less, continue with these steps. 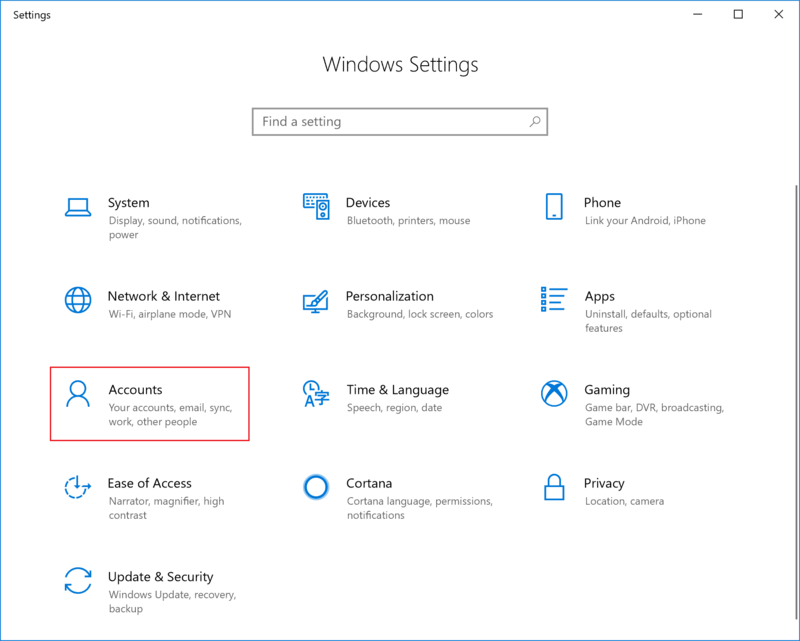 Return to Windows Settings and select Accounts. Select Access work or school > Connect. 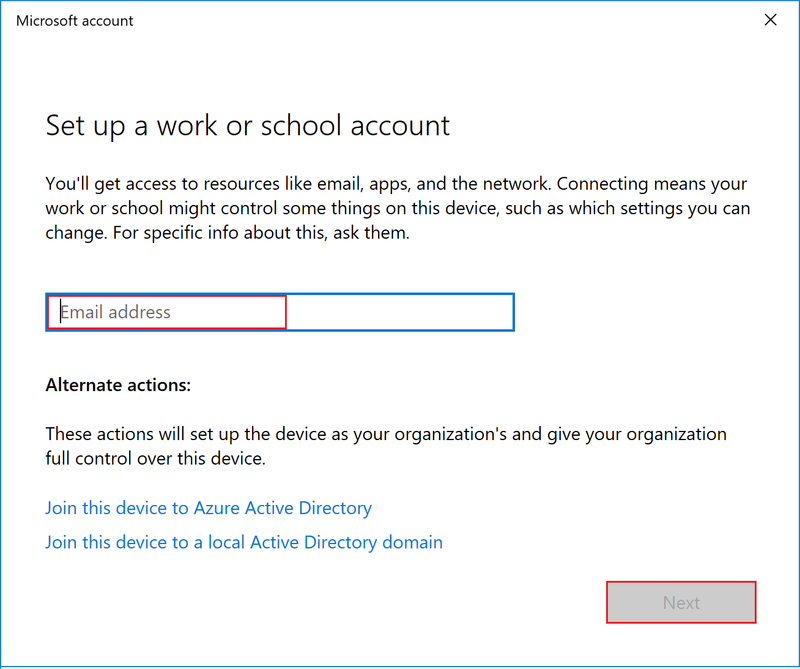 Sign in to Intune with your work or school account, and then select Next. If you followed the create a user and assign a license quickstart, you can sign in with the user account that you created. If you setting up an ".onmicrosoft.com", the user account will have .onmicrosoft.com as part of the account address. You’ll see a message indicating that your company or school is registering your device. When you see the You’re all set! screen, select Done. You’re done. 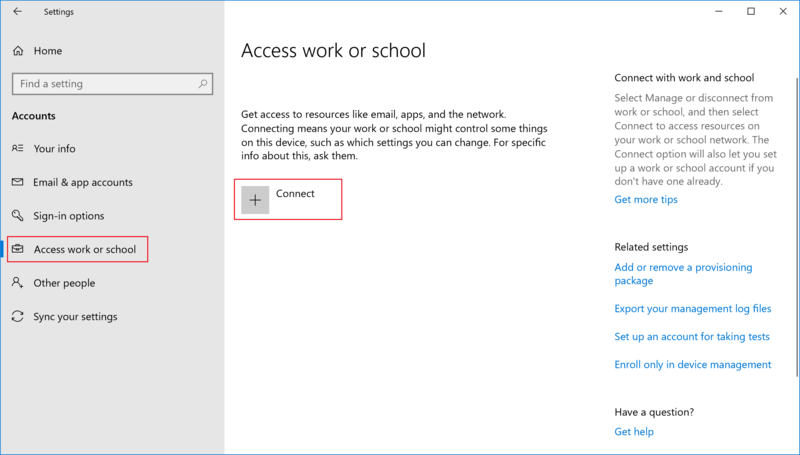 You will now see the added account as part of the Access work or school settings on your Windows Desktop. If you followed the previous steps, but still can’t access your work or school email account and files, follow the steps in Troubleshooting steps to follow if you see Access work or school. Sign in to Intune as a Global Administrator or an Intune Service Administrator. Select Devices to view the enrolled devices in Intune. Verify that you have an additional device enrolled within Intune. To unenroll your Windows device, see Remove your Windows device from management. In this quickstart, you learned how to enroll a Windows 10 device into Intune. You can learn about other ways to enroll devices across all platforms. 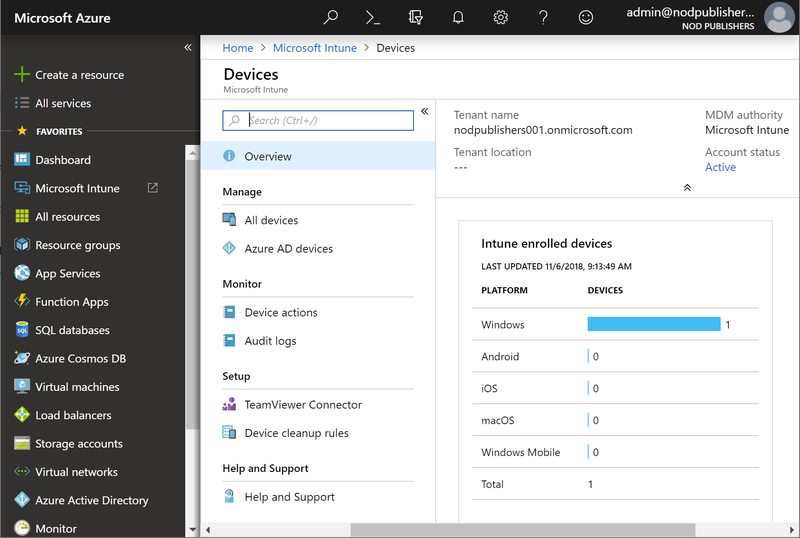 For more information about using devices with Intune, see Use managed devices to get work done.